LITTLE ROCK—A $100,000 return on a $15 investment is either a hoax—or the premise of an investment program for students in grades 4-12. As thousands of Arkansas students know, a team registration fee of $15 provides access to build a virtual stock portfolio of $100,000—and the chance to invest it for yet higher returns. About 100 of the state’s savviest junior investors were honored during an awards luncheon at Verizon Arena on Jan. 14. They received cash awards and trophies for winning 1st and 2nd place in their respective regions of the state after participating in a 10-week session of the Stock Market Game ProgramTM, a project-based investment and saving simulation. The event was hosted by Economics Arkansas, a nonprofit educational organization that trains educators how to integrate economics and personal finance concepts into the K-12 classroom curriculum. The impact of the Stock Market Game Program goes far beyond investing and saving know-how. Rick Kron, whose 5th-grade student team from Warren Dupree Elementary School in Jacksonville won 1st place in the elementary division/region 5, described how his students became interested in global events and business matters and their effect on stock prices. “At the beginning of the school year, when we studied the newspaper, the kids turned to comics and sports,” he said. “but as we got into this [Stock Market] game, they went right to business and farm.” He noted that his winning team was so enthusiastic about playing, it was already preparing for the Spring 2015 session. Also recognized were Susie Thompson, Little Rock Christian Academy, in the category of Overall Advisor; Jason Anzaldua, Hardin Elementary School, White Hall, in the category of Teacher Division, and Shedrich Franklin, College Middle School, Texarkana School District, in the category of Portfolio Advisor. The Stock Market Game is owned by the Securities Industry Financial Markets Association (SIFMA), and has been franchised to Economics Arkansas since 1999. In this investment simulation and competition, students trade “live” in the stock market. Teams of 1-5 students seek to grow a virtual $100,000 stock portfolio over the course of 10 weeks in the fall and in the spring. They compete in either the elementary (grades 4-6), junior high (grades 7-9) or senior high division (10-12) in one of the state’s six regions connected to a university economics center area. Teachers act as advisors who assist each team by inviting investment professionals to speak in the classroom, teaching their students to learn “how” to research and to become aware of current events that affect the market. The teams with the highest total equity at the end of each 10-week session in each division and region are recognized at the awards luncheon. The winners receive cash, medals and commemorative tee-shirts. Annual participation averages more than 9,000 students. 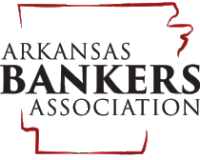 The Awards Luncheon was sponsored by the Arkansas Securities Department; Bank of America Merrill Lynch; Lou Graham, Morgan Stanley; Harvest Investment Strategies; D&R Hobbs LLC; Riceland; State Farm Insurance; Harriet and Warren Stephens, Stephens Inc., and 3M.